Reda, a fourth-year medical student, is an avid stand-up comedy fan who has attended over 300 live comedy performances. Reda Jaber, M4, crossed a life goal off his bucket list: to create a children’s book. Along with Sara Abraham, co-author, and Joaquin Arias, illustrator, the team published the inaugural book in the Visionary Kids series. Their goal is to create inspirational stories about some of the world’s most successful entrepreneurs and innovators. The first book in the series follows the life of Steve Jobs, from his adoption at an early age, to dropping out of school and building a world-changing technology out of his garage. 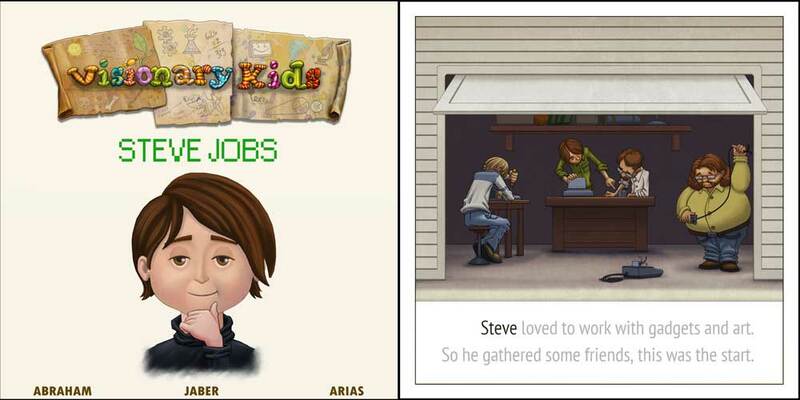 Visionary Kids: Steve Jobs is being funded through a Kickstarter campaign, and the launch date is set for May 1st, 2014. Please visit www.Visionary-Kids.com for more information.